EDMONTON -- The Alberta government has declared that the hardship to agriculture from this year's drought constitutes a disaster. Agriculture Minister Oneil Carlier quietly approved the decision on Friday. Agriculture department spokesman Renato Gandia says in an email that it allows the province's Agriculture Financial Services Corporation to access more funds for insurance compensation. Gandia says the dry weather and hail in 2015 has resulted in a "significant increase" in the number of claims across the province. Many Alberta counties and municipal districts have already declared local states of agricultural emergency due to heat and drought and are seeking government assistance. 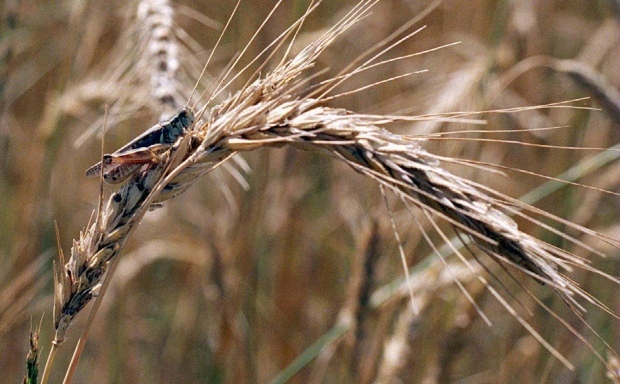 Earlier this summer, Alberta's Progressive Conservative agriculture critic Wayne Drysdale said crop insurance isn't enough and that the provincial NDP government should establish a disaster recovery program to address this year's drought and grasshopper infestations. "While we agree that insurance provides a solid safety net most years, there are times when it isn't enough. It is pretty clear that 2015 is such a case," Drysdale said in a statement on Aug. 14. A spring and summer with insufficient rain has withered crops in many regions of Western Canada, including hay used by livestock producers to feed their animals. Producers worry they may have to reduce their herds due to the price and lack of availability of hay, and the federal government has agreed to grant tax deferrals to western livestock producers in regions hit by drought. The Alberta government has responded by cutting rental fees for a program that helps farmers pump water to fill their dams and dugouts, and is also helping municipalities identify additional public lands for grazing. Saskatchewan announced a similar measure last month to help its producers. Rick Strankman, the agriculture critic for the Opposition Wildrose party in Alberta, said Saturday that he's still sifting through the details of how the province-wide disaster designation will affect producers. He said part of the difficulty is that the extreme weather hasn't affected regions evenly. "The devil is in the details and to make a province-wide designation, there could be unintended consequences," Strankman cautioned. Drysdale has said that the failure to implement a disaster recovery program is effectively telling the counties that have already declared agricultural disasters that they're not facing them. 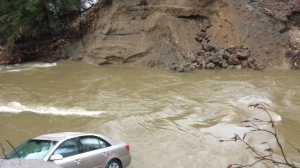 Gandia said the Alberta government is keeping an eye on the situation. "We continue to monitor the situation very closely to assess the effectiveness of our programs and services, and evaluate how to best support our producers facing challenging circumstances," Gandia said in an email.